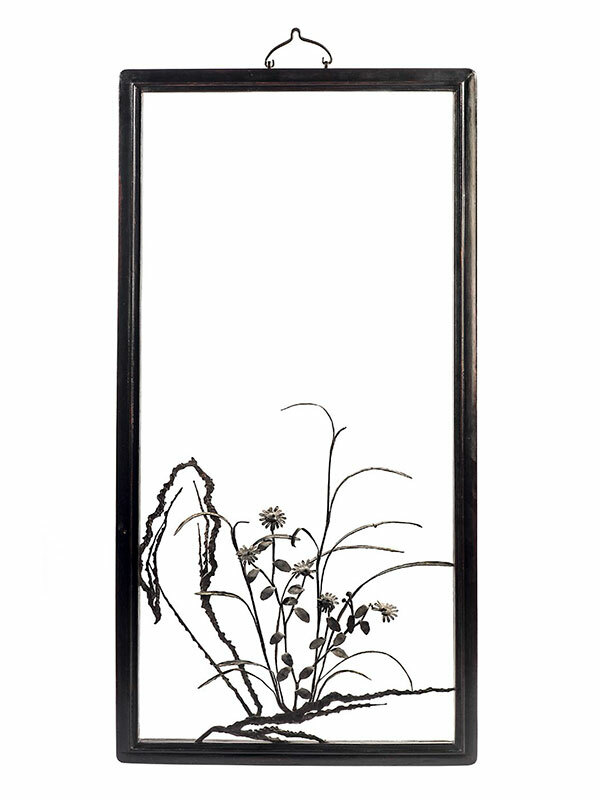 An iron painting depicting branches of flowering daisies, issuing from the ground, with long, slender leaves. The plant is made of a multitude of wrought-iron elements, which are crafted individually and bolted together. The painting is contained within a hardwood frame.